With the Window 8.1, Microsoft addressed the some of problems that scuffed original Windows 8 release, smoothing cracks between the desktop and touch UIs, improving snapped apps and allowing users to boot direct to desktop, among the other tweaks and fixes. Window 8.1 simply makes Window 8 a little less terrible. As we see, Windows 8.1 is improved than Windows 8 and it is rumored that, Windows 8.2 will come with the improvements in Windows 8.1 before the release of Windows 9 in 2015. The new update will get some improvements to the Start Screen including ability to boot straight into your Desktop, the return of shutdown on Start screen and the more familiar task bar to unify old and new user interfaces. While Microsoft listened to the users feedback and reinstated the Start button in the Windows 8.1, they did not make it intuitive. When you click on Start icon, it simply takes you to Metro Start screen. You need to right-click on the icon to bring up the Start Menu, with more familiar quick links to the Task Manager, Control Panel and the Shut-Down. Even this menu is not strictly new it is hidden in the Windows 8 (press and hold the Windows key and then press X to open it). 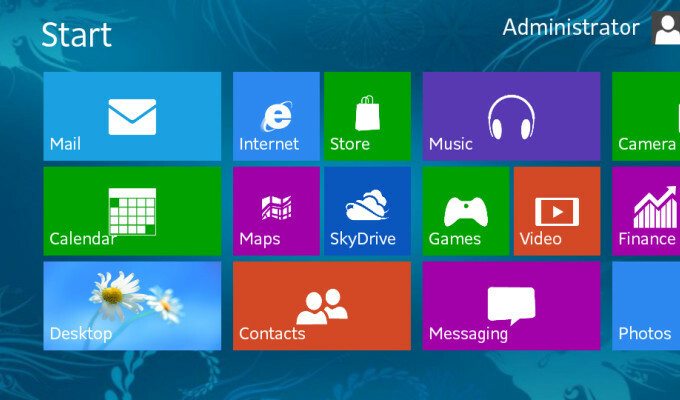 Windows 8.2 could make Start Screen more easier to access and it would be an ideal opportunity to improve discoverability of the other useful options that are currently buried in the sub-menus. One thing is very clear. Whether we see the Windows 8.2 or Windows 9, the next iteration of Windows will try to move us closer to one Microsoft vision. The current three Microsoft’s approach – Window 8, Window Phones and Windows RT – is far too confusing for the consumers. What would you like to see in Windows 8.2? Let me know in the comments.